extends 60 Km ( 35 miles ) from north to south and reaches a maximum of 5 Km ( 3 miles ) in width, it is situated close to the eastern coast of Madagascar, within 40 mn flight from the capital Antananarivo. The pirates have chosen Sainte Marie island at the close of the 17th century for its beautiful creeks & vegetation. And the whales pass by there to make love & to be delivered of, from July to September. Not yet frequented by mass tourism, Sainte Marie is seeked destination for all those people who love nature and privacy. is quiet and calm. Since 1857 the first built catholic church of Madagascar waits and receives you every sunday. This church lies at Ambodifôtatra seaside and it gives you a wonderful scenery at sunset. The best way to go sightseeing to discover its vanilla, coffee & cloves plantations and to visit its numerous tiny villages is by bicycle or on foot. It has just one defect : the island receives 3200 mm of rain annually. You can sometimes see the coast of Madagascar from there. So, people joke that : " You can't see the coast of Madagascar because it rains, and when you see it, it will rain ". That means, there are a lot of rain in Sainte Marie & your best chances of fine weather is from September to November. Note that from January to March, Sainte Marie Island is subject to violent cyclones. With its 200 Km2 ( 60 Km of length & around 5 Km of wide ), Sainte Marie Island is the 2nd island after Nosy Be. Tourism, fishing & rice production are the main activities. With only one little town ( Ambodifotatra ) & numerous tiny villages, it's the best place to relax and to leave one's home. Such as the sightseeing of the island ( the half part ) by bicycle or on foot ( through the Pirates Cemetery, the Albrand lighthouse, the small Ilot-Madame which is connected to Ambodifotatra on the North and to Belle vue on the South by two causeways, the first catholic church in Madagascar inaugurated in 1857, the Cocoteraie beach ) ; the Creek Beach ( lovely coconut rimmed beach with a nice point of view of the region ) ; Ile aux Nato ( one of the best beach of Sainte Marie, for snorkelling with wonderful coral reefs & fishes, but also with sea urchins ; local alcohol manufacturing, the - Betsabetsa -, walking to the old Albrand lighthouse through cloves plantations & through mango trees, fern trees and the rarely purple orchid, the Eulophiella roempleriana a pandanus épiphyte ) ; Ampanihy Bay ( in the East part of Sainte Marie ). For all these excursions, you just need one full day. With wooden canoe and through zigzag small rivers, you discover a peaceful atmosphere in a tropical mangrove. Between mud and aerial roots, you can see crabs, hermit crabs and amphibian fishes. Very quiet place, it's Ampanihy, you just hear away the sound of barrier reef waves. Ampanihy : perhaps, it's a place like the others with nothing special to mention, but Pierrette & I have a sentimental attachment for it : it was the place of our Honeymoon in December 1999. With our kindest regards to Hélène, the Manager of PARADIS D'AMPANIHY Hotel & to Olga. Thanks alot also to Francisca Massou for his help. You go there by 4 WD vehicle or by little motorboat ( but we've gone there on foot from the Creek Beach ), following the East sea side, then through mangroves pleasant forest ( see the picture above ). Shallow seas , superb stretch of sand with coconut rimmed beaches, emerald water ; but also vanilla-coffee-clove plantations & little vanilla manufacturing near Anafiafy village ( flower & pollination are in December & January ; harvest in May & June and preparation the months after ). To make love, to be delivered of & to educate the young whales. They do 10 000 Km go and back from the very cold Antarctic South Pole. They start their long trip from April. Whale is an enormous sea mammal that means which suckles their young babies with milk. Some of them eat fishes & squids and the others eat crayfishes. These whales are black or dark grey with a white belly and their fins are very large ( it's the reason why people call them " Megaptera " because observing them in the sea, you've the impression that they fly ). An adult whale has between 12 and 18 m of length & weigh 30 t. Whales are endangered animals ; the world protects them since 1966. 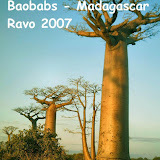 To see the Best of Madagascar, I suggest you the « Allée of Baobabs », the famous « Tsingy of Bemaraha » and the « lemurs ». I’m a professional in tourism in Madagascar since 1993. It’s just an example but we can discuss about other trips if you want. So see you soon ? Thanks alot for your TRUST. Arrival in Tana. Foreign change at the airport. Transfer to your hotel and overnight in Tana. Morning transfert to the airport and flight to Morondava. Then continuation by 4WD vehicle to Belo on Tsiribihina through the famous « Allée of Baobabs ». Arrival at the hotel in the afternoon. Continuation to Bekopaka through another Baobabs forest. Trekking to discover the famous big Tsingy of Bemaraha ( a UNESCO World Heritage because of its beauty ). Suspension bridge and sifaka lemurs on the way. Back to the hotel at the end of the afternoon. Back to Morondava by 4WD vehicle with visit of « the sacred Baobab » and « the loving Baobabs » on the way. Visit again of the famous « Allée of Baobabs » in Morondava area but at sunset. Full day on the road by 4WD vehicle through the middle west part of Madagascar, a « no man’s land » area. Arrival in Antsirabe at the end of the afternoon. Alot of pictures on the way : volcanic and desert landscapes, typical Sakalava villages, people, etc. Continuation to Tana through the Highlands and its numerous ricefields, its typical red brick houses. Lunch in Tana then continuation to the East part of Madagascar. Visit of Peyrieras private reserve on the way ( crocodiles, butterflies, insects, and alot of chameleons species – the big ones, the little ones, the very big ones, the very little ones, different colors and species, the best area in Madagascar to look at them ). Arrival at the hotel at the end of the afternoon. Full day trekking visit of two National Parks : « Mantadia » and « Andasibe – Analamazaotra Special Reserve ». Trekking to find the biggest lemur in the world ( the Indri Indri ) and other species of lemurs, plus birds. Full day trekking throuhg secondary rain forest. Continuation by 4WD vehicle to the East coast through Betsimisaraka villages ( houses made of travellers trees ). Beginning of the cruise on the Pangalanes Canal ( by little motorboat ). Visit of the carnivorous plants near a crocodiles lake at the end of the cruise. Trekking visit of an eastern typical village through beautiful view points in the afternoon. Half day trekking visit of Palmarium lemurs private reserve ( alot of lemurs species free in the nature ). Continuation of the cruise with little motorboat along the Pangalanes Canal in the afternoon. Continuation to the North : Toamasina ( Tamatave ) through lakes, rivers, freeshwater pools and Betsimisaraka villages. Transfer to the airport then flight to Tana. Transfer to your hotel and day use with dinner before a transfer again to Ivato airport for the flight back to Paris in the night. Are not included in these rates : your international flights, your visa, your insurance, your personal expenses ( phone calls, laundry, tips, souvenirs, ... ), your drink, and the carriers ( at hotels and airports ). Half day trekking visit of Palmarium lemurs private reserve ( alot of lemurs species free in the nature ). Lunch in Akanin’ny Nofy then continuation of the cruise with little motorboat along the Pangalanes Canal in the afternoon. Continuation to the North : Toamasina ( Tamatave ) through lakes, rivers, freeshwater pools and Betsimisaraka villages. Transfer to your hotel and city tour on foot to see the town and its local market ( fruits, vegetables, spices and traditional handicrafts ). Early morning departure by bus to Soanierana Ivongo along the East coast part of Madagascar. Then transfer by boat to Sainte Marie island. Arrival there around midday. Transfer by car to the South of Sainte Marie, then transfer by local pirogue to your hotel at « île au Nato ». Beach and relax in the afternoon. The hotel lies in front of a wonderful beach. « Ile au Nato » is a very good and quiet spot at the extreme South of Sainte Marie island. Full day excursion visit of « île au Nato » through villages, wonderful beaches, lush vegetation. Full day excursion on foot with fishes pic-nic lunch in front of the sea. You will have alot of times for swimming. Go back to your hotel at the end of the afternoon. Full day excursion again but visit of Sainte Marie island by local pirogue, by car and on foot. Visit of the town and the pirates cemetery on the way. Continuation to the North part of Sainte Marie to visit a wonderful sandy creek and a good view point. You can swim there. Go back to « île au Nato » in the afternoon. Free morning relax on the beach. Transfer to the airport by local pirogue in the afternoon. Flight back to Tana. Transfer to your hotel and day use with dinner before a transfer again to Ivato airport for the flight back to Paris in the night. Good walking shoes, raincoats, flashlights and its batteries, binoculars if you have, extra batteries for your camera, mosquito repellent, insect repellent, swimsuits, swiss-army-knife, little padlocks for your luggage, your own medical supplies ( antibiotic, antiseptic, antidiarrhoea, anti-malaria, ointment for sprain, Bétadine, medical compress, cotton wool, etc. ), sunblock, second hand clothes ( for adults and for children to give to people, also second hand toys ), cap or hat and euros. Lying off the northeast coast, the idyllic tropical island of Sainte Marie is becoming a more and more popular tourist destination as visitor discover its endless deserted beaches, overhanging coconut palms, bays protected by coral reefs, hills blanketed with luxurious vegetation and diving. There are many trails on the island and evryone can bike or walk everywhere, even cross the island from east to west ( about 5 Kms or more ).